I'm refusing to lose my humanity. An exception. An exception who might encourage all who, by birth, struggle with their circumstances. A forerunner, perhaps, of all strugglers. He's saying: "You know, we went by water. We had a coach home, were followed, gazed at, but not much abused.” He's trying to say that England is a horrible racist country, and even though I was having fun with my kids, sort of my kids, they were horrible to us. To the groans, the cries, of so many people. I wanted to find a black British history that was before 1948, the famous ship Empire Windrush arriving, with the first Caribbean immigrants. 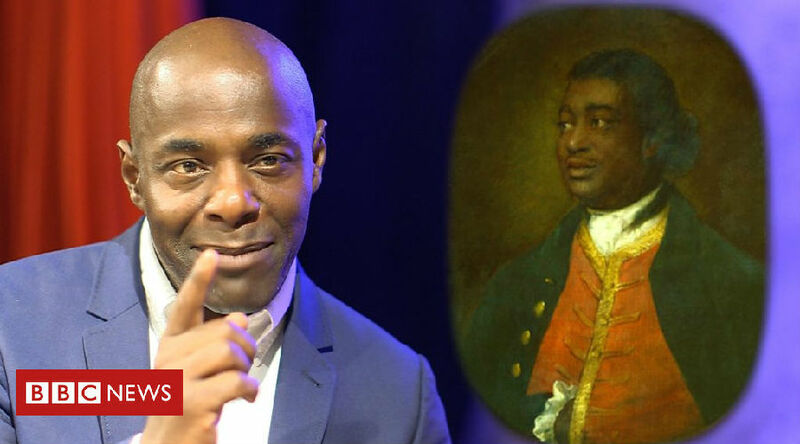 Because I was always told that was when black British history started, on British soil. The government has been sending Afro-Caribbean people, my parent's generations, back home. "Home, where they hadn't been for 50 years. And it was so sad for me to hear that my play was relevant today, to black Britons. Yeah, in some way I wanted it to be a glimpse into the past. "Oh, this is how we were, we should vote now, if he could vote then. But I didn't really think it was going to be a live issue of belonging, of who's allowed to be here, of who's allowed to vote, have a place in the society. It saddens me, and at the same time I'm glad that Sancho was able to stand up and say: "We've been here for a while and we are not going anywhere and we are part of this nation."